You could ask for more and frankly you will get more but with a unique condiment like the miso paste. Miso paste is definitely a unique condiment with the most versatile uses. The use of this condiment is not limited and not even your imagination can limit it. Think about anything you can use a condiment for, and then think miso paste, it has got you covered. From adding rich deep or mild flavor to your soups or sauces to being use in salad dressings. Really, this sauce is awesome and all you need to have a homemade miso paste is the right miso paste recipe and that will be coming up later right after you get to know a little more about this condiment. So grab a bottle of coke and read on. Or you could get yourself a glass of dark rum or maybe just red wine! Simple. It’s a condiment. It’s a staple seasoning. And it’s Japanese. 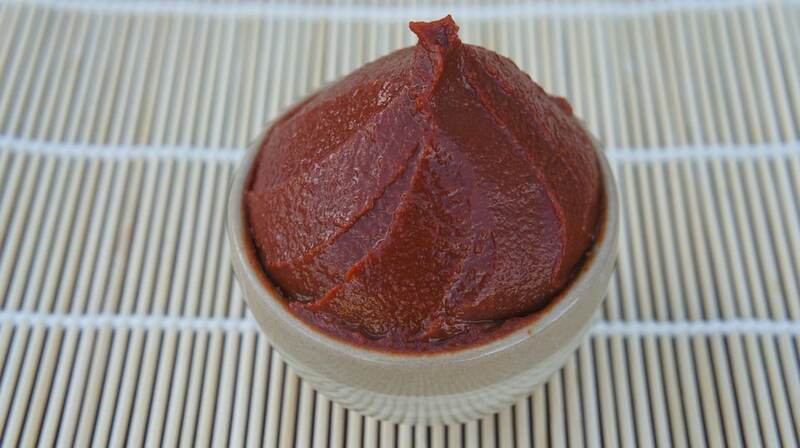 The Japanese miso paste is a staple seasoning made primarily from fermented soybeans with Koji rice and salt. It is referred to as a paste because it is thick and paste-like, it is not to be eaten on its own however, no one is going to sue you if you take just one bite or more (not a healthy thing to do so refrain) if you couldn’t resist its sweet or salty and tangy taste. The miso paste adds a distinct burst of flavor when used to flavor dishes. 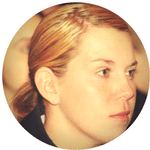 The taste and flavor ranges from a sweeter and milder flavor to a salty (savory) and rich intense flavor. The sweetness or saltiness of this paste depends not just on the amount of koji being used, it also depends on how how long the paste was left for fermentation. Miso actually means fermented beans so the term miso paste could thus be translated to mean fermented beans paste. Fermented beans paste not only has an ultra-savory taste, it also has the umami flavor and that’s all thanks to the fermentation process. Fermentation is definitely a good way to unleash the umami goodness. It is rich in antioxidants, dietary fibre, protein, the B vitamins, vitamin E, vitamin K, copper, manganese, zinc and of course sodium and chloride – the salt has to be represented too. That’s not all, it also has a lot of needed enzymes and it is extremely rich in probiotics. Probiotics are good bacteria that helps keep the gut healthy, they also add to our health in general. 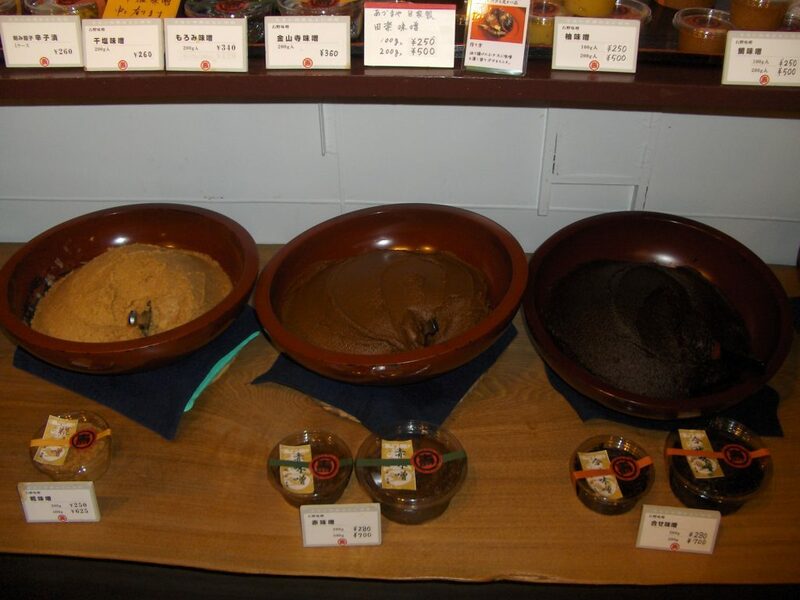 The uses of miso paste are so varied that the condiment can be used in the preparation of over 30 dishes with the commonest being the miso soup. This condiment is used in sauces, soups, stew, marinades, broth, dip, used as a glaze especially for grilled fish and meat, used in salad dressings particularly for Asian-inspired salads. It is also used in stir-frying where it adds a delightful flavor to whatsoever you intend to stir-fry and what’s more? It goes deliciously well with most vegetables such as mushrooms, baked tofu and aubergine. A spoon of this is usually what is needed because too much of it can make the meal saltier and besides, due to the rich intense flavor of this seasoning, it could readily overpower the flavor of other ingredients being used. 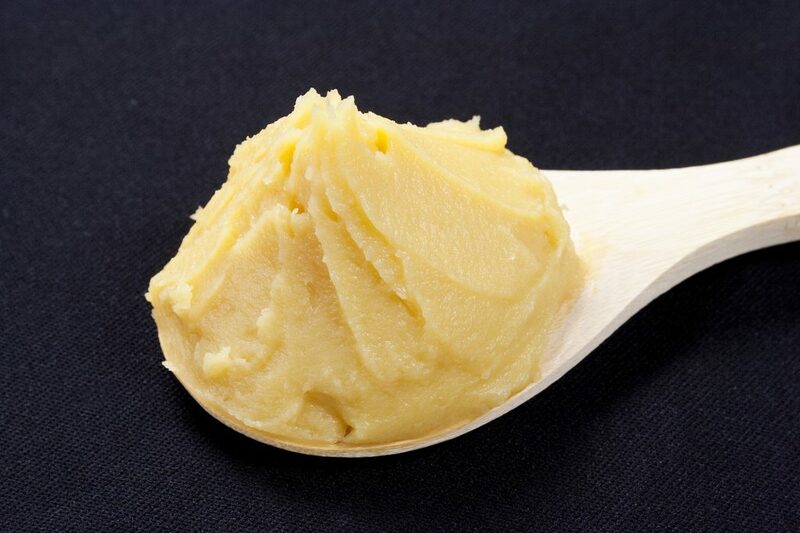 Traditionally, the Japanese miso paste is made from soybeans but it could also be made from other ingredients and thus, this could also serve as a means of classification, that is, the different types of miso paste can be based on the ingredients used in its preparation. Other ingredients that can be used to prepare this seasoning includes brown rice, barley, buckwheat, beans, cultured wheat or Miller and other grains. Miso made from whole grains are usually saltier than those made from hulled grains so be sure to read the label before purchasing any brand of miso paste. These other ingredients could be used in combination with the soybeans and at other times, they are used the addition of soybeans. 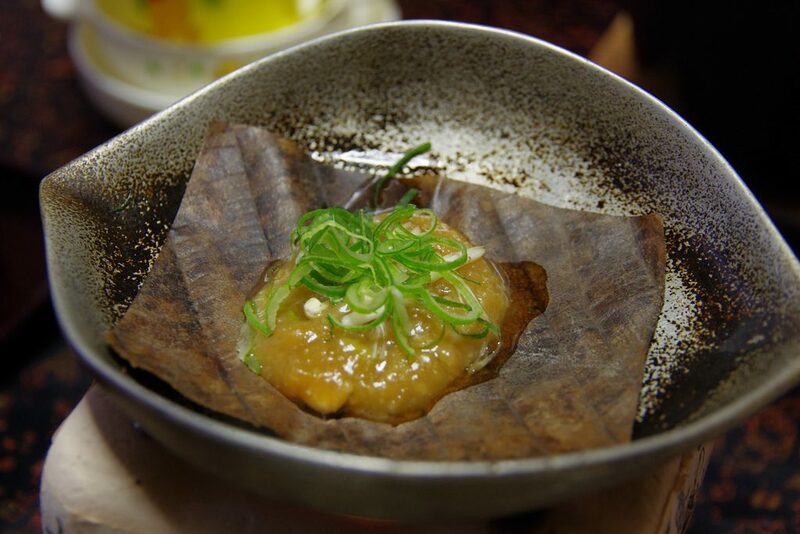 Mugi miso: The mugi miso refers to the barley miso. Mugi is the Japanese word for barley. This type has a strong barley flavor. It is milder and slightly sweeter than the one made from soybeans. Mame miso: This variant is made from rice malt and had a dark brown color with a ticket taste than mugi miso. 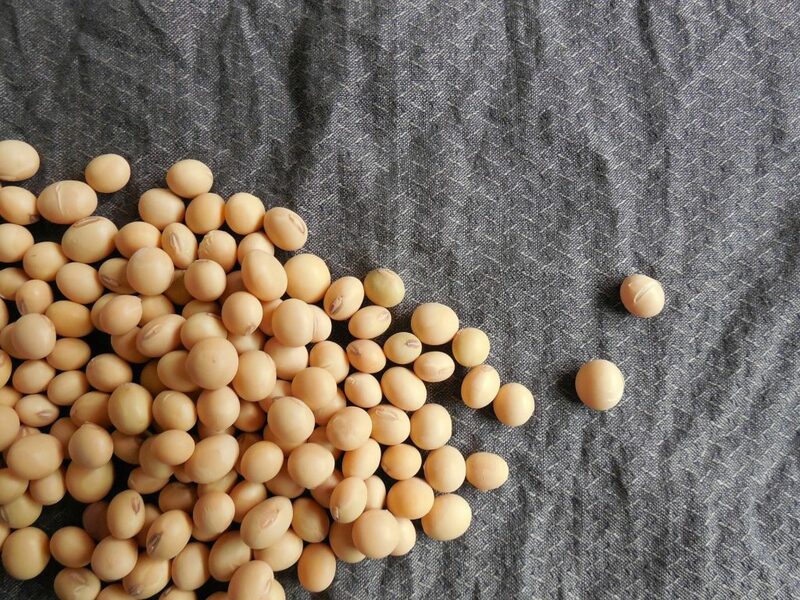 Kome miso: When soybeans is used to make this seasoning, it is referred to as kome miso. The terms are basically just the inclusion of the main ingredient as the prefix. While this condiment or seasoning or whatsoever you’ll like to call it can be classified based on their main ingredient, that form of classification most often at times go unnoticed. It is most times only noticed when a recipe calls specifically for it or when one is searching for a gluten free miso paste or for a miso paste with a main ingredient they aren’t allergic to. So what then is the popular classification? This condiment is popularly known by its colors. So most recipes would usually call for light or red or mixed miso and not mugi miso and the likes. Based on the color of the paste, we have 3 primary colors and 1 secondary color, lol. Mixed miso – the secondary color miso. These colors do not arise due to some tweaks in the making process or due to the addition of any ingredients. The different colors are as a result of the fermentation process. The fermentation period could be as short as three months or as long as a year or more. It depends on how patient you are and on how you want your condiment. The fermentation process not only affect the color, it also affects the flavor and taste of this seasoning. How? You would just have to hold on for a little while. We’ll come back to this but after you learn how to make your own homemade fermented miso paste with just the three miso paste ingredients. 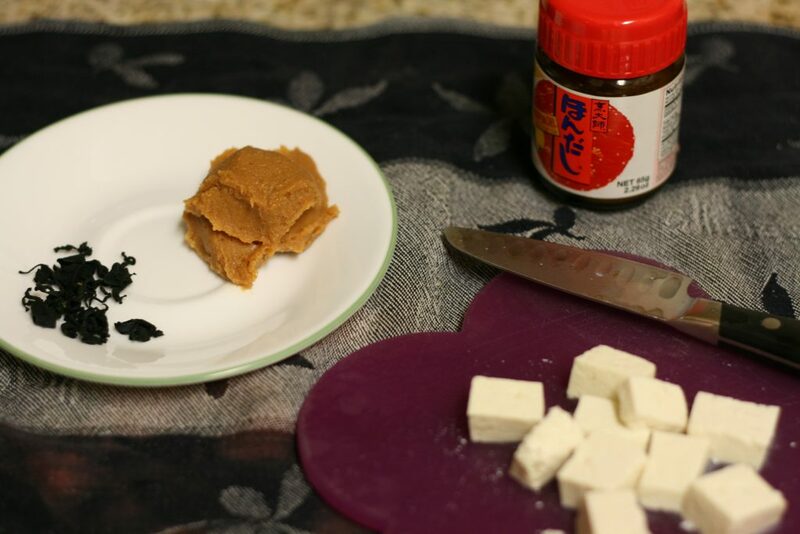 How to Make Miso Paste – The Most Efficient way! The most difficult part about making this condiment is that you would have to learn the art of patience. It will take at least 3 months before you would be able to use it. At 3 months old, the flavor is mild and the condiment is sweet rather than being salty. If you could wait for 6 months, that will be great for you and for your future usage of the Japanese seasoning. To make, you need only 3 ingredients that’s excluding the water that you will need. Also a large container of about 2 kg or more will be needed for the miso paste recipe that I’m about to share with you. You will also need a plastic bag, a weigh scale, and a lid. These ingredients will make approximately 1.8 kg of fermented miso paste. Or you could just use an online calculator especially if you don’t have a scale lying around. The first thing to do is to wash your dry soybeans properly. Wash under running water, after which you soak them in water about four times the amount of soybeans. Soak for at least 16 hours and at most 24 hours. After the soak time has elapsed, drain the water from the beans and boil for about 4 hours. If you are using a pressure cooker, the time will be significantly shorter than that. If you are using a pressure cooker, the boiling process should take about 30 minutes or so. While your soybeans is being cooked, mix together your salt (keep about 10 percent of the salt for later) and rice Koji in a large mixing bowl. Mix well and then, set aside. Once your beans is done, remove from heat and prepare to mash it up. Your beans is done if only you can easily squish a bean using just your finger tips. If it isn’t soft enough to be squished, leave for a little while. After removing from heat, drain the water and mash the beans immediately. You can mash with a stand mixer with an attached mincer or with a potato masher or basically with anything that can get the job done. After mashing, turn the mashed soybeans into a bowl large enough to hold the Koji and salt mixture which be added to it. Then mix all three ingredients properly. You can add a little water if you deem it necessary. Line the container with the plastic bag and then, make baseball sized balls, that is miso balls from your miso mixture and place the balls compactly (to eliminate air bubbles) in the lines container. Your miso balls should be firm enough not to break. Smooth out the top surface once you are done arranging the balls and clean up any smear on the plastic bag. Then, sprinkle the remaining salt over the top of the miso mixture. This mixture weighs about 1.8 kg so you will need to place a weight that’s 20 % of 1.8 kg on the mixture. Salt in a ziplock bag would work well or a wrapped lid. Then cover the container with its lid. Keep the container in a cool dark place and don’t forget to write the date on the lid. 3 months later, check up on your mixture, turn it with a ladle, smooth out the top surface and cover it up like you did before. Then store for another 3 months before checking up on it again. If after this next 3 months elapsed, you are satisfied with the taste and color of your miso paste, transfer the paste into a container that will fit in your fridge. Use whenever you want to. Your fermented miso paste is ready. After the first 3 months, you can use your miso paste but it will have a sweet and mild taste – white miso. After 6 months, you have a paste that is somewhat yellow with a richer and more intense flavor. Don’t be surprised when you see molds growing on your miso when you check on it. The salt is sprinkled to prevent bacteria growth but it can fight off the fungi and molds. But not to worry, your batch isn’t bad yet, just clean out the funny things growing on it. The rice Koji is already somehow cooked so it needs no extra cooking. It’s a cooked rice that has already been fermented too. White in Japanese means shiro thus this paste is also known as the Shiro paste. This paste type is preferred in the Kyoto region of western Japan. It has a sweeter taste, milder flavor and the lighter color is because it was not fermented for too long. Usually, it is fermented for a period of about 3 months or so but it can be fermented for 2 months. This short fermentation process reduces its umami quality and instead of being salty, it is rather sweet. Due to its sweetness, it is mainly used in salad dressings or sautéed vegetables and in glaze recipes or as a glaze itself. Can also be used for baking and for making sweets like the miso caramel sweets. Basically, you can use on anything that you desire to have a sweet taste. The white miso is also a good substitute for vegan margarine or nutritionally yeast, that’s if you are tired of having these on your toast. A good secret to making this type sweeter is to use more Koji. The more the quantity of Koji used, the sweeter it will be. Also referred to as dark or aka miso, aka being the Japanese word for red. The color here is actually russet, a reddish brown color, and the fermentation period could last up to 3 years with the least period being a year. The type of miso is preferred in central Japan and just a little of it in your dish would create a distinct burst of flavors. It has the rich umami flavor too, its rich intense flavor and salty taste is one reason it is used only in all quantities. Using too much of it has the ability to choke up the other flavors in your dish so really, just use a little quantity. It is preferably used in making soups especially the very famous miso soup and even miso ramen (a noodle soup), it is also used in making stews, sauces and in many fish dishes too. Its usage in fish dishes is done not just for burst of flavor it adds to the dish but also to eliminate the fishy smell. To make this red type, instead of refrigerating the miso after 6 months as seen in the recipe above, leave it for 6 more months but continually do check on it after every 3 months. What about the yellow and the mixed miso? The yellow miso is darker than the white miso and less sweeter than the white miso but with a more stronger flavor. The recipe above is for a yellow miso. The mixed miso or awase miso is actually just a combination of the white and red variant. So it has this balanced taste and flavor. Picking your favorite type shouldn’t be difficult, their use is varied and unlimited, so do a taste test and know your favorite type and that’s what you should make. On the miso soup, just in case you decide to make your miso soup, do not bring the soup to a boil as this will kill the probiotics (the good bacteria, remember?). And it is believed that it is these probiotics that stimulate digestion and helps to energize the body. 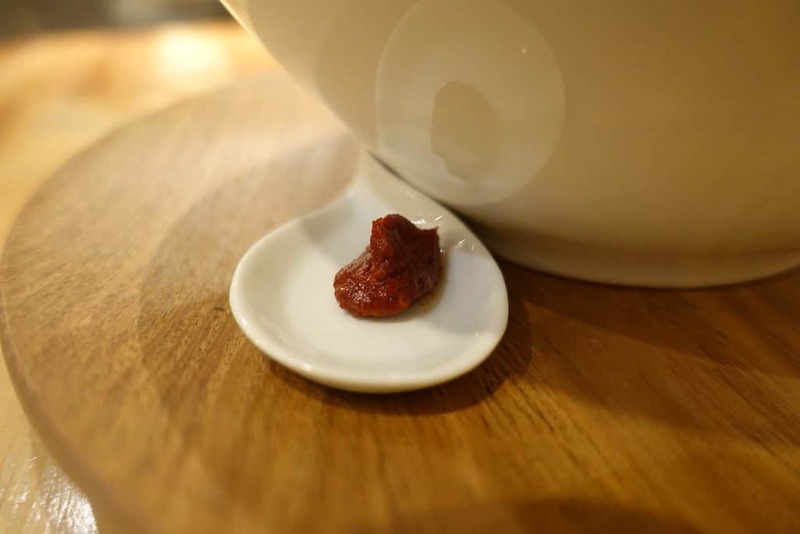 How long can this condiment? As long as you want them too. They could last for a year especially the red ones. So before your homemade miso is ready, you will have no other option than to buy some first. There are instant miso soup packs that require you to just add water. Most times, it comes in a tub or a plastic bag or even a jar and also, purchase miso that were produced from organically grown soybeans. Also, there’s a miso that you can eat straight out of the can. 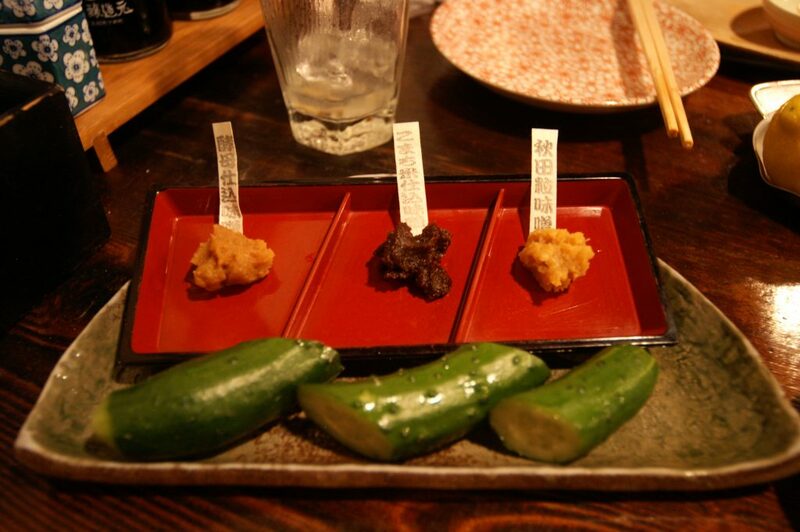 The kinzanji Miso made just for eating and it has added ingredients like ginger, eggplants and shiso leaves. You should definitely try this! The Miso paste recipe we have shared is sure to give you the desired satisfaction if followed accordingly.